At Mediastream we know the radios industry as well as the new technologies, we know how to grow your business through the multiple tools offered by NowPlaying. 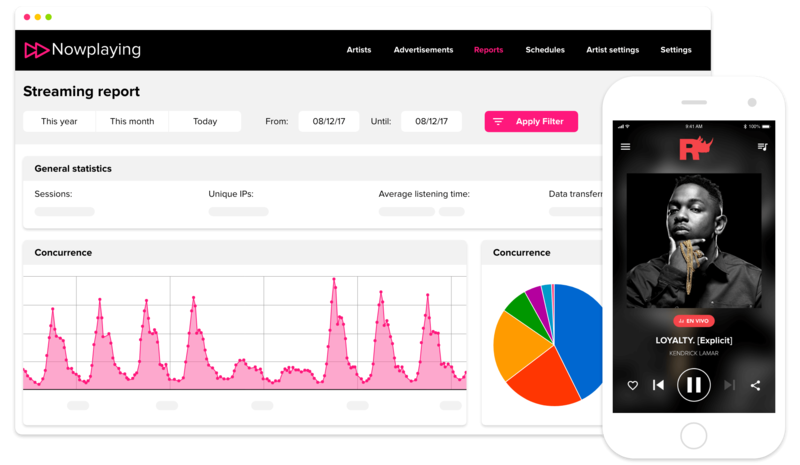 It is developed for a simple integration with your radio, without stopping the daily process and easy to merge with your existing content library. You can also customize the design of your player and it is compatible with Facebook. Know from which places your listeners are connecting, what are the hours of greatest audience concentration, what musical preferences each age range has. 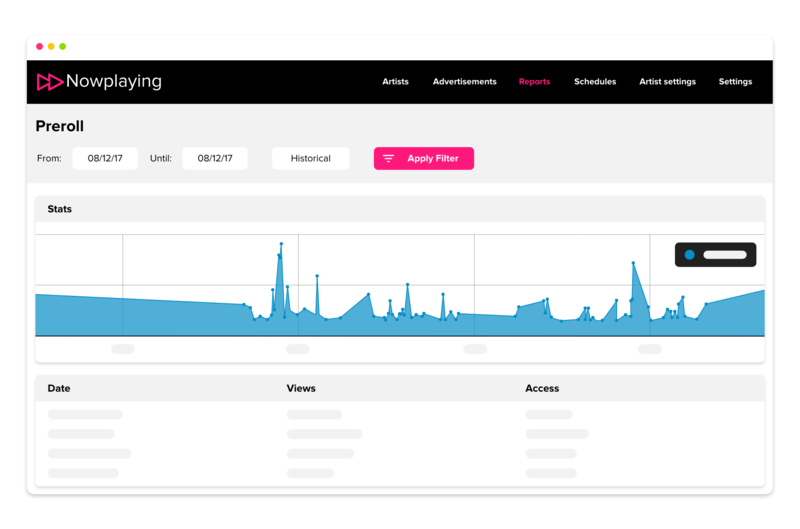 You will be able to know the mood of your songs and what the users think of them. 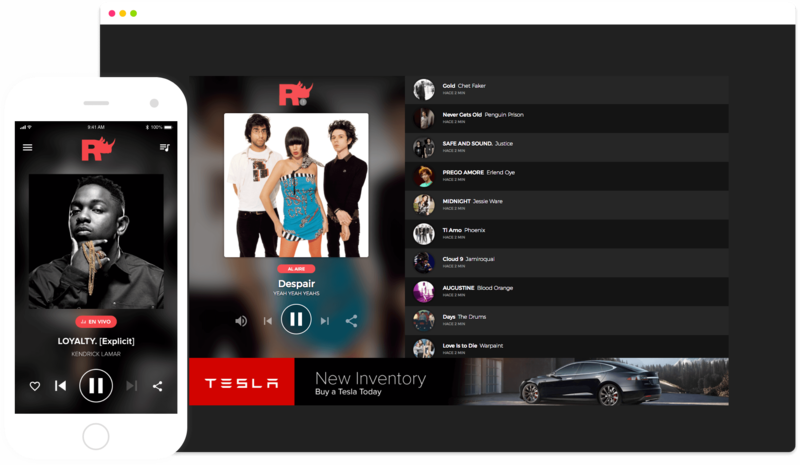 Your audience can listen to the radio online at any time and from any device as Nowplaying adapts not only to computers but also to iOS, Android and Blackberry devices. 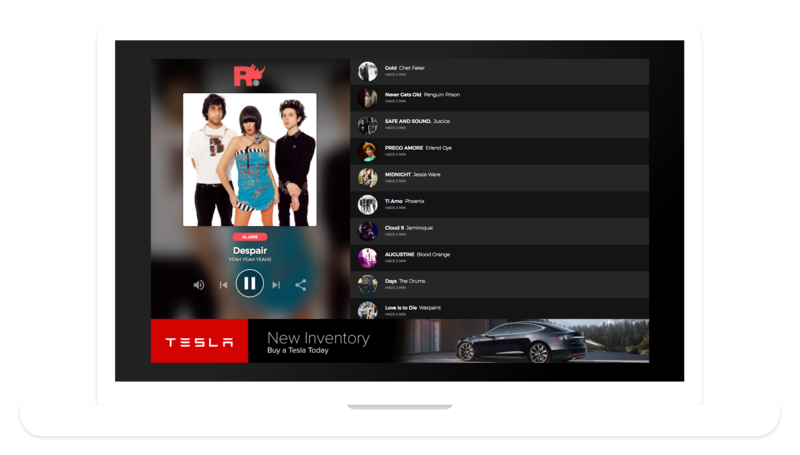 The user will be able to listen to songs that were played hours ago, so that your listeners have more interaction with their favorite content. Take advantage of the platform to receive advertising income. Display advertising with audio or videos before the stream signal starts. It allows listeners to share and interact with your content on Facebook and Twitter and thus attract other users interested in your content.